The Poor Servants of the Mother of God, who run the Kairos Centre where I am staying in Roehampton in west London, were founded in 1872 by Frances Taylor (Mother Magdalen). 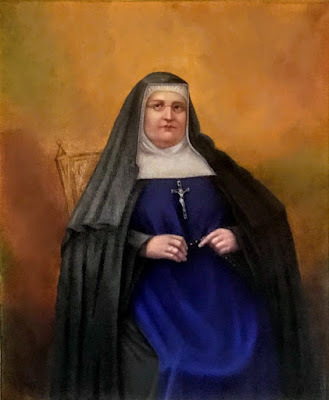 The values of this daughter of an Anglican priest and friend of Florence Nightingale continue to shape the values and mission of the religious order she founded almost a century and a half ago. I am in London this week at a meeting of the trustees of the Anglican mission agency USPG (United Society Partners in the Gospel), and we are meeting in the Kairos Centre. Frances Margaret Taylor was born on 20 January 1832 in Stoke Rochford, Lincolnshire. Her father, the Revd Henry Taylor (1777-1842), was an Anglican priest and Frances was the youngest of 10 children. Her happy country childhood came to an end in 1842 when her father died, and the family had to move to London. The family lived in Saint John’s Wood, where the young Fanny Taylor and her older sisters were strongly influenced by the Oxford Movement. The poverty and the squalor of 19th century London came as a shock to her and her compassion moved her to work with the poor, and she became involved in many charitable activities, including the work of the Anglican Sisters of Mercy of the Holy Trinity in Devonport. She went to the Crimea with Florence Nightingale’s Lady Volunteer Nurses in 1854. The plight of the wounded soldiers, the faith of the young Irish men and the dedication of the Irish Sisters of Mercy inspired her to become a Roman Catholic, and she was received into the Roman Catholic Church on 14 April 1855 by a Jesuit priest, Father Joseph Woollett (1818-1898), who had been a chaplain in the Crimean War. On her return to London, she continued to work with the poor and began writing. Her desire to work with the poor led her to found her own order on 24 September 1869. She took the name Mother Magdalen and with three companions began the work of the Poor Servants of the Mother of God. They responded to the needs of the time, working with the most vulnerable, especially women and children, and recognising and valuing the dignity and worth of each person. Her book, Eastern Hospitals and English Nurses – an exposé, highlighted the neglect of soldiers and the injustice and indignities they suffered. In this book, she called for the reform of the character of paid nurses, whom she often found to be drunk, immoral and insubordinate, while sick and dying patients were left in their care. She convinced the Jesuit Father Augustus Dignam (1833-1894) to change the Messenger of the Sacred Heart from being an expensive literary magazine into a popular penny-worth magazine that quickly circulated freely among the poor. She also encouraged the New Ross-born Jesuit Father James Cullen (1841-1921) of Dublin, founder of the Pioneer Total Abstinence Association, to make the magazine available in Ireland. The first Irish Messenger of the Sacred Heart appeared within a year, and reached a circulation of 73,000. The Messenger is still published in Ireland today. Her community opened its first house in Roehampton in 1871. The Irish foundations during Mother Magdalen’s lifetime included Limerick, (1874), Carrigtwohill, Cork (1875), Monkstown, Cork (1881), Dublin (1888), and her last foundation at Loughlinstown, Co Dublin (1899). Mother Magdalen died in Soho Square, London, on 9 June 1900. Her body was taken from Mortlake Cemetery on 24 September 1959, 90 years after she had founded her order in 1869, and she was reburied in a side chapel in the community chapel. Today, the congregation or order she founded continues the work begun by Mother Magdalen in social, pastoral, health care, education and outreach work in Britain, Ireland, North America, Kenya and Italy. 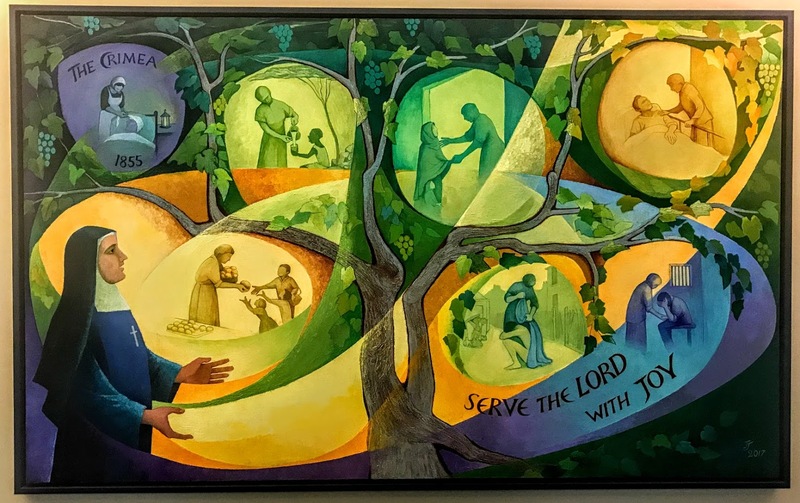 During the past century, this work has changed and the sisters have responded to the new situations. But this work is still carried out in the same spirit and according to the same values espoused by Frances Taylor. On 13 June 2014, Pope Francis issued a decree about Mother Magdalen, declaring her ‘Venerable’ and putting her on the path towards being declared a saint. The community she founded hopes to see her canonised and hopes this inspires other with her vision.